Read all about KPSD dancers and graduates who have had unique opportunities to take part in fabulous shows or study at prestigious colleges and gain invaluable experience of the wonderful world of dance and performing arts! SALLY HIRST is flying high after being offered an unconditional place to study for a BA Hons in Musical Theatre at Bird College in September 2019 - congratulations from everyone at KPSD!! 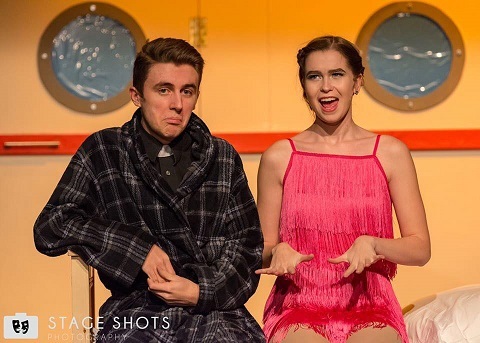 Sally is currently studying Musical Theatre Level 3 at Mechanics Performing Arts at Wakefield College and recently appeared on stage at the Bradford Playhouse as Bonnie in Anything Goes! with Yorkshire Theatre Arts. Sally began her dance career at KPSD when she was just three-years-old in the Creative Movement class and now does tap, modern theatre, free jazz, gold jazz, contemporary, free ballet and pointe and was awarded the Wellhouse Moravian Church 'Most Improved Dancer' Cup in 2013. 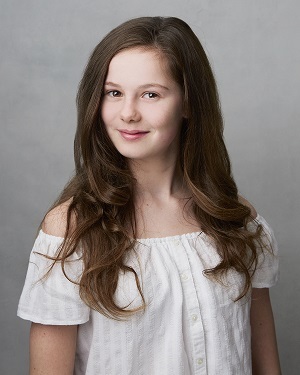 In 2013, Sally also secured a place at the Louise Browne Yorkshire Ballet Scholarship Centre in York and was accepted to perform with the Northern Youth Theatre Company in Leeds. Sally auditioned at Stagebox alongside more than 700 applicants. Only a handful of those who auditioned were given a place and Sally was delighted to be among them. EMMA JONES joined KPSD at the age of three and went on to study ballet, tap, modern, jazz, contemporary, street and musical theatre. In September 2013, she gained a place on the CAT scheme at the acclaimed Northern School of Contemporary Dance and attended classes there twice a week while also continuing her studies at KPSD. Emma was accepted into the renowned Hammond School (Chester) and after three years of study, graduated in 2017 with a Level 6 Diploma in Professional Dance. She then went on to work in Malta as a dancer with a professional troupe performing at hotels with KLS International. Now Emma is living her lifelong dream to work as a cruise ship dancer, proving that all the hard work in the KPSD studio definately can pay off! 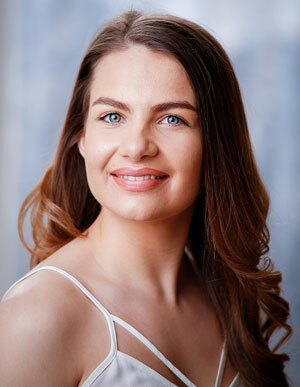 LUCY AUTY began dancing with KPSD when she was three and over the years has trained in ballet, modern, tap, jazz, contemporary, street and musical theatre. While at school, she gained a place at Phoenix Dance Theatre's Youth Academy. She graduated from the prestigious Preston College with a foundation degree in Teaching Dance in the Private Sector and also her DDI and DDE teaching qualifications in Imperial Ballet and Modern Theatre. She has achieved her Advanced 2 Modern and Advanced 1 ballet and won Ballet Dancer of the Year in 2017! She enjoyed her first professional role in the wonderful world of pantomime working for James Brandon Company last Christmas in Aladdin at the Academy Theatre in Barnsley. Now Lucy is enjoying life on the ocean waves, dancing on cruise ships having followed in Katie's footsteps! CARA GREENHOUGH joined KPSD in the baby ballet class at the age of three and soon showed real talent across several genres of dance including ballet, tap, modern, jazz and street. She attended the CAT scheme at the Northern School of Contemporary Dance in Leeds for three years and received the KPSD Senior Ballet award in 2012. Cara then went on the complete a three-year professional dance training Diploma course at SLP College in Leeds. She is now busy rehearsing in Southampton in readiness to join the performance teams on the Queen Mary II for its world cruise in June 2019 - following in the footsteps of her mentor Katie! FRANCESCA BARRON joined the KPSD family at the age of three and went on to earn a coveted place to study dance at Cambridge Performing Arts (Bodywork Studios). Fran says: “I loved every minute of my time at the School from the ‘good toes, naughty toes’ to achieving great results all the way up to intermediate level and especially performing in the shows. She has now graduated from Cambridge Performing Arts and is busy auditioning. Fran has set her sights on following in her mentor Katie’s footsteps and working as a professional dancer. We wish her lots of luck! ISABEL MOORE auditioned alongside 150 gifted ballet students and successfully gained a place at the Louise Browne Yorkshire Ballet Scholarship Centre studying classical ballet, contemporary ballet and repertoire. She was then accepted into the world-renowned Elmhurst School for Dance in Birmingham. After completing a year at Moorlands Ballet Elite, Issy decided she wanted to diversify, rather than solely studying classical ballet, and secured a place at SLP, where she now studies ballet and more commercial dance styles. She also studied for her DDI qualification at Moorlands and has been teaching classes herself! This summer at SLP she will dance the lead role of Maria in West Side Story. GEORGIA GOMERSALL has been a pupil at the School since she was just four-years-old. Following an audition in October 2014, Georgia is thrilled to have gained a place at the Cathedral Academy of Performing Arts (CAPA) in Wakefield, one of the North of England’s premier Performing Arts colleges. She now follows an enhanced five-year secondary curriculum with additional high calibre training in dance, drama, singing and music, production arts and creative media training. Georgia always enjoys taking part in KPSD shows and our community events. Read all about what we have coming up this summer on our main website page and keep up-to-date by following us on Facebook, Twitter and Instagram. There you can find out all about where our dancers are appearing next! MIA HARRISON took her first dance steps aged just two and has now landed herself a coveted Academy place at the prestigious Northern Ballet. She successfully auditioned to join the Intermediate Associate training programme and attends weekly classes alongside her school studies at Heckmondwike Grammar School and dancing at KPSD. Mia won the 2017 KPSDChoreographic Cup and has also achieved Grade 4 in Tap, Bronze in Jazz and is about to take the Grade 6 examination in ballet and begin Contemporary classes. She has danced in countless KPSD shows and also performed with Heckmondwike Grammar, Youth Ballet Theatre and is taking part in a workshop with the acclaimed Joss Arnott Dancein October. LARA FIRTH has landed a principal role as Amber Von Tussle in Hairspray with Northern Youth Musical Theatre Co, performing at Carriageworks Theatre in Leeds 25 - 27 October 2018. Congratulations Lara!!! Lara began dancing at KPSD when she was just four and has gone on to perform alongside Broadway and West End stars! After winning the KPSD Choreographic competition in 2012 and showing a flair for performing arts, Lara joined Stage 84 where she played principle roles including Young Cosette in Les Miserables. Following an audition at the Royal Exchange Theatre in Manchester, Lara gained a coveted place with the Stagebox Musical Theatre Elite Team. Here she gains intensive training in all aspects of performing arts at the West Yorkshire Playhouse and Centre Point in Manchester whilst continuing her dance training at KPSD. 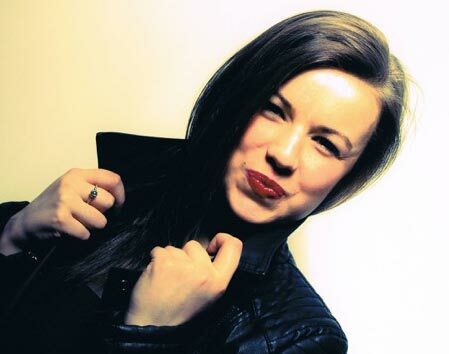 She has performed alongside Danielle Hope and Natalie Weiss in Magic of the Musicals at CAST (Doncaster) and in Live in London at the Royal Court Theatre (London). She still enjoys her KPSD classes in ballet, tap, modern and jazz as well as performing in our shows and taking part in our ISTD exams. OLIVIA GERMAINE has been doing herself and KPSD proud at her very first experience on the national competition circuit. Olivia has been dancing at Katie Philpott School of Dance since she was three and currently takes classes in ballet, tap, modern, contemporary and jazz. 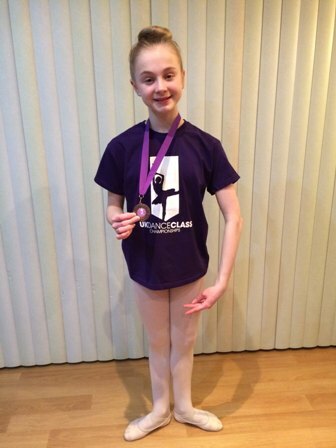 In January, the 13-year-old took part in the ISTD UK Dance Class Championship in Bradford, her first ever external dance competition AND walked away with fourth place for ballet, out of 60+ entrants! Olivia, who attends Heckmondwike Grammar School, and proud mum Diane were delighted with her achievement which follows success in the 2017 KPSD awards when she received the coveted Teacher's Cup. HANNAH HATFIELD studied at Katie Philpott School of Dance with the KPSD teaching team and its Principal Katie Philpott. She began dancing at the school many years ago, aged just three! Over the years, she has studied Intermediate Ballet, Contemporary, Modern and Jazz, including the ISTD Gold Jazz Award. Back in 2013 she received the coveted Senior Ballet Award at the annual KPSD award ceremony. 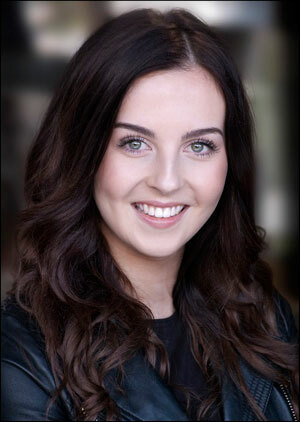 Hannah now attends SLP College in Leeds where she studies a range of performing arts including various styles of dance and also has singing and acting classes. She is hoping to achieve a Level 6 Diploma. Katie said: "We still miss Hannah but I'm delighted that training at KPSD has given her the opportunity to follow her dream!" 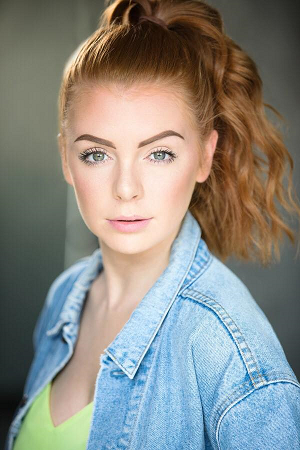 HOLLY SUMMERS graduated from the highly-acclaimed Hammond School in Chester in 2016 with a Level 6 Diploma in Professional Dance. She enjoyed a variety of opportunities before moving to Malta in May 2017 to work as a professional dancer for KLS International. Holly is enjoying her new role and explained: "I perform six different shows, six nights a week in two different hotels." Here is a link of Holly and her fellow dance troupe in action. What an inspiration to our younger KPSD dancers! !